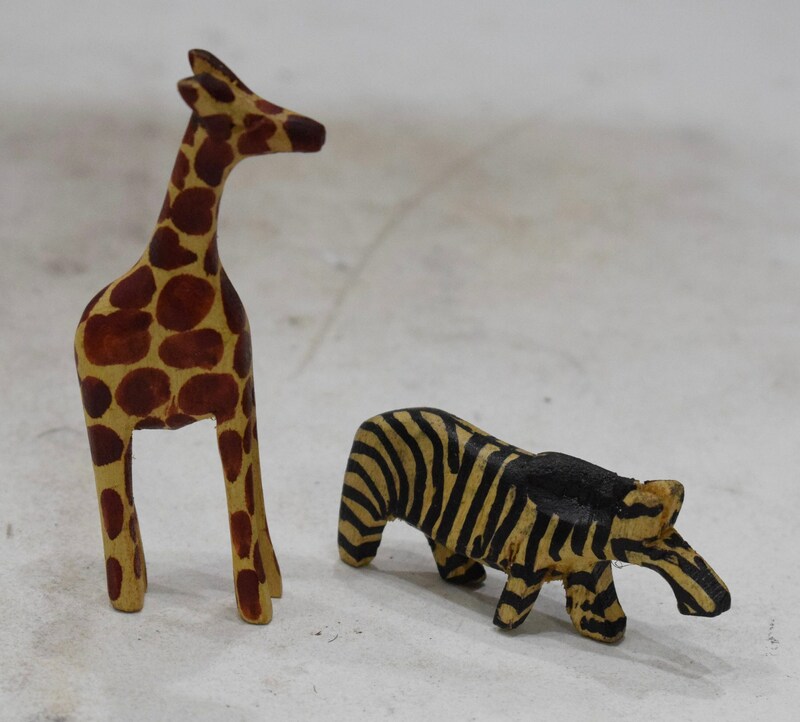 This is a lovely Pair of a Zebra, Giraffe Hand Carved Wood Animals from Wamunyu, Kenya. These assorted animals are all created by the wood carvers from the town of Wamunyu and are known throughout Africa for their fine detail in wood carving and painting of these animals. This is a great gift for children or to display in your home. Some age, but in very good condition.